Stephen Charrier, President of Rollerblade USA, and Rob Gill, of InlineSkates.com, review the 2015 Rollerblade Fusion X3 Urban Inline Skates. Hey, welcome to the Daily Spin. I'm Rob from inlineskates.com joined today by Steven Cherrier, president of Rollerblade. Steven, thanks for being here. Thank you for having me. And then the F.I.T. System on this skate is... It is unique in a way that two Velcro closures - both the top and powerstrap are Velcro. This was done basically, was skater-driven, this change here. A lot of people want the upper part of the skate, the cuff area, to be looser. More of kind of a hockey fit, I should say, so that's why we had put it like that. The skate comes with 4 80mm wheels, it has a urban profile to the wheel, it's a rounder, fuller wheel profile. So, stocked out of the box, it's a very maneuverable skate. It is. It's maneuverable. It has a little bit longer frame, a 260mm frame. compared to Twister for instance with a 243, very short, manevuerable frame so this is somewhere in the middle. Okay, so who would you say the customer is for the Fusion? You know, it's built and intended to be in a urban skate, someone street skating and someone who wants to be able to convert and change it out however, like a Twister, it also is a great skate for almost anyone that wants a 80mm shorter frame wheel experience basically. Perfect. 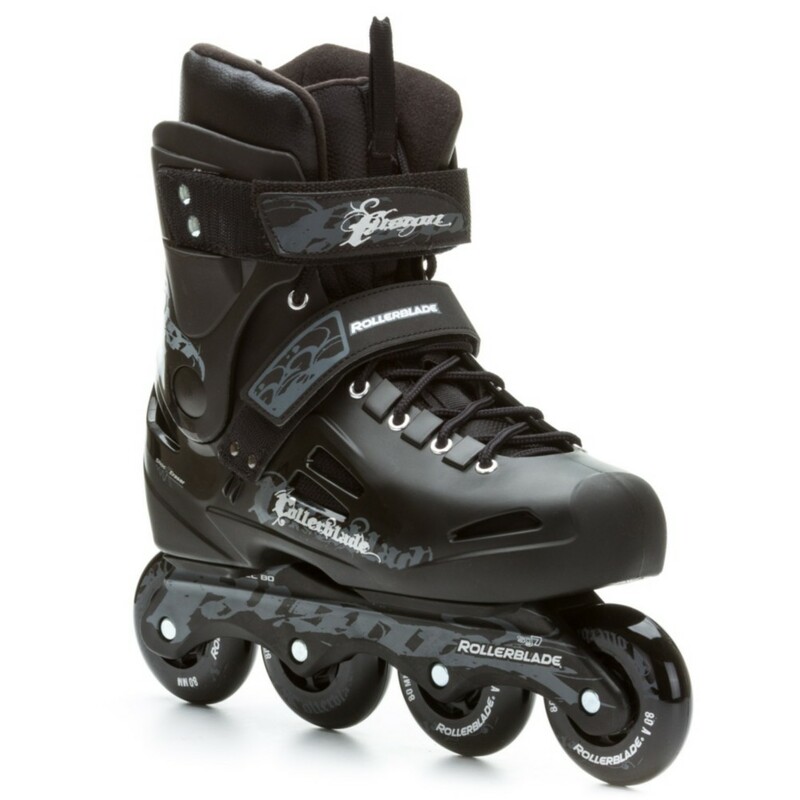 So, there you have it - the Fusion X3 from Rollerblade. Thanks for joining us on the Daily Spin and you can check it out on inlineskates.com.